I received a little gift from Lennart Schreiber per e-mail – a cute stencil-work found in Flaschenhalspark, Berlin that is part of a bigger piece. The capital of Germany has a lot of amazing urban art to offer! Lennart has a huge talent for photography, click here to see more beautiful street photos! Have a nice day and feel free to contact me any time on Facebook or streetartrat@gmail.com! NEVERCREW is a swiss based street artists duo composed by Christian Rebecchi & Pablo Togni. They work together since 1996 and are well-known for creating very realistic murals, mostly depicting whales. Click here to see yesterday’s Whale by NEVERCREW. Marina Capdevila is a freelance illustrator based in Barcelona. Her work covers from small illustrations to wall paints. She likes to portray people’s daily routine to give them a very peculiar sense of humor. 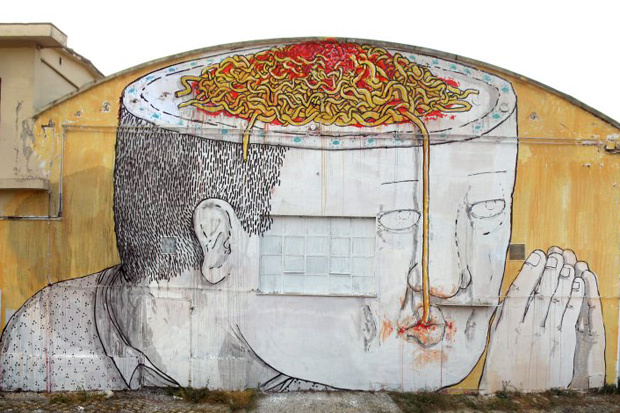 Mural by BLU in Italy! Who is BLU? Check out this collaborative piece by artists Os Gêmeos and BLU. Beautiful mural by Kevin Ledo titled “Children See Magic” in Thailand. More information about Kevin Ledo is coming up tomorrow! Another mural by the amazing Aec Interesni Kazki in Varkala, India! 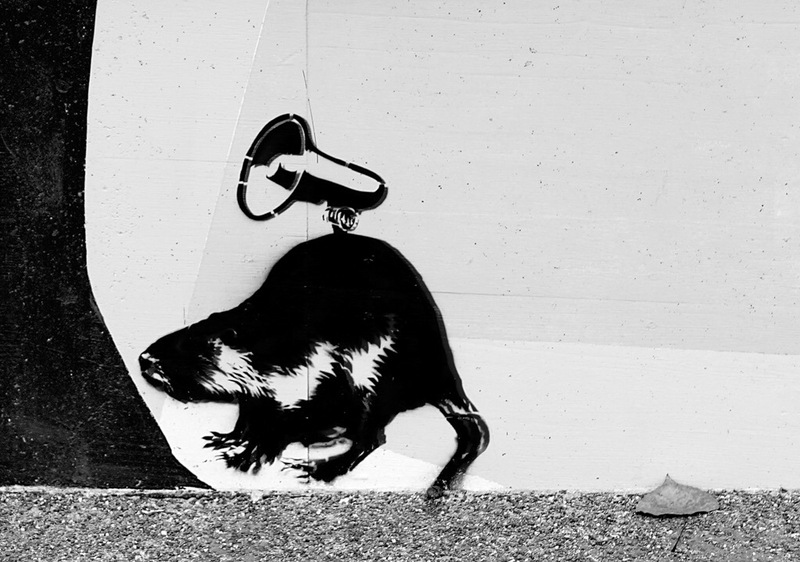 Xavier Prou, aka Blek le Rat, decided to leave some of his stencil art on the walls of Brighton! Amazing murals by Lonac – click here to see his Robots from yesterday’s post!